Introlift brings you the most effective and advanced hair removal solutions available in the industry. 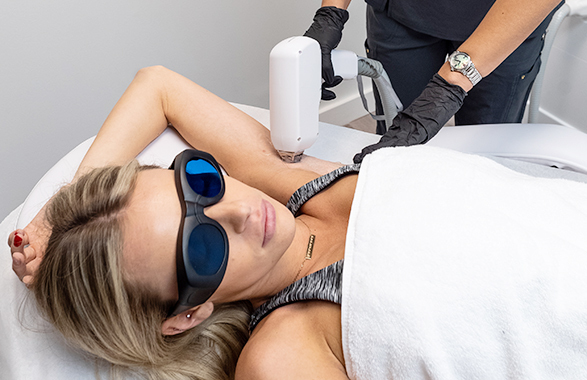 By combining the benefits of the Alexandrite wavelength with the advantages of a diode laser, our three wavelengths Alex 755nm , 810nm, & YAG 1064nm laser offers the most cutting-edge in hair removal technology and treatment methods. Multiple modes offer multiple treatments to accommodate the varying needs of our patients.